It has surfaced again � something that turns up at random, �Yesudas should be allowed entry to Guruvayur temple, as he has all the credentials to gain entry to the temple�! It's the 21st century and about time people had free access to places of worship. People of various religion and castes go to their respective places, temples, churches, Mosques etc, but I I believe that if anyone decides to visit the other's place of worship, it should be taken as an honour and acceptance of other religions! Can one determine the stipulated qualities, �Pure at heart and body status� of all the Hindus who visit Guruvayoor or any other temples?! There are thousands of non-Hindus who have visited these places and therefore, one must have the ability to blend with the rest of the crowd and also totally unknown, to gain access to these places if one is a Christian or Muslim! The question here, is not whether Yesudas is given an entry card, but about access being given to anyone who wishes to visit places of worship, either to pay respect to the deity or pray to the divine power. Yusafali Kecheri (May his soul RIP!) has written poems worshipping Lord Krishna and other 'Hindu Gods' in 'Aalila' and 'Ormaykku Thaalolikkan', to mention a few. There are other writers and dancers of 'Non-Hindu origin' who come under this category and of course, I don't forget those who genuinely would love to visit such places; I am sure there would be thousands who would not like to visit other places of worship but their own, even if they are permitted to do so! 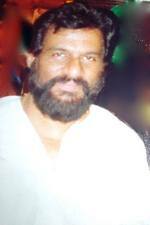 Ever since Yesudas's famous song '... Guruvayoor Ampala nadayil orudivasam Njaan pokum' (�... to Guruvayur Temple �, I will go One day�), reached the air waves, it has been a point of discussion that surfaces at random intervals, that Ganagandharvan Yesudas wishes to worship at the Temple. Vayalar wrote those beautiful lines and Yesudas, the only singer gifted with a voice tuned by God Himself, made it celestial and the rest is history! He is a singer and he was just doing his job, only too well, as he always does � if the words came to life when he gave his magic touch, it only shows his greatness as a singer! It does not make any difference whether he sings about Christian, Muslim or Hindu gods, the listeners feel the presence of their gods! I am sure he has never pleaded with anyone to gain entry to Guruvayur Temple. He has sung many religious songs which can be heard in various temples and churches and he does not need an 'Entry card', to continue to do so! I had a very humiliating experience years ago when I went to Guruvayur Temple to attend a wedding and I had to sit outside the temple, missing the wedding. I am a Christian and therefore my entry would have warranted a 'Punyaham', before they could conduct the wedding ceremony � so says the Hindu protocol! It was very humiliating and I felt like a second class citizen or an outcast for the first time in my life! I sincerely wish that nobody has a similar experience! I only hope that the magic word, 'YESUDAS' opens the doors for all, just as he opened the doors of Classical music to the common people! There are so many of us who believe in one God, respecting and worshipping the different images of God Almighty and I feel that all places of worship should be accessible to all!